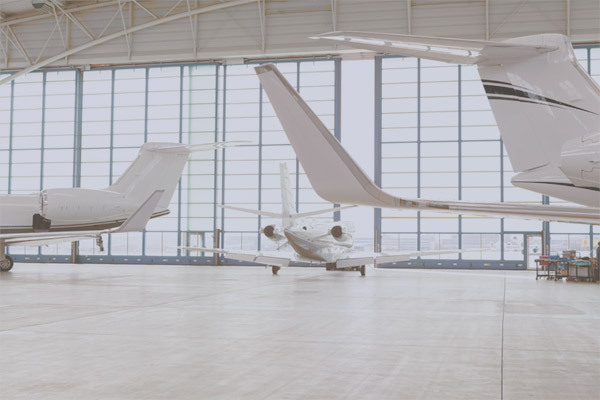 Things we value: our clients, our clients’ business and aviation industry. Equally, we love IT. MOMook team consists of aviation pioneers, strategic thinkers, and innovators who are passionate about new technologies solutions developed for aviation training centers. Smart organization in the smart society – that is our belief. 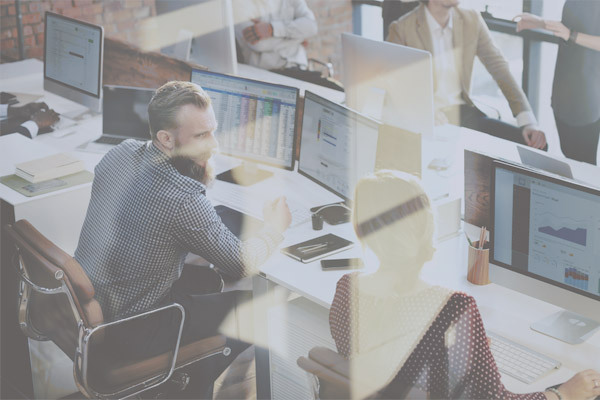 We combine software & hardware solutions by finding the smartest way to manage organization’s processes. 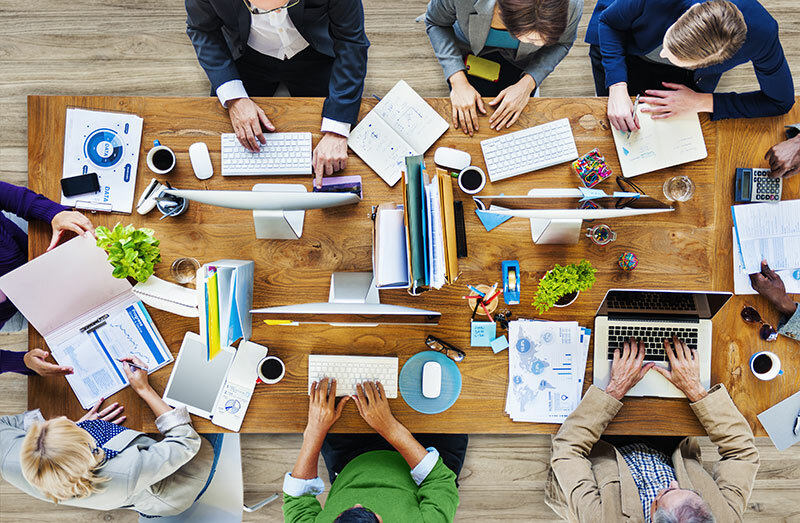 Being smart means to simplify business processes as well as reorganize your daily workflow and manage your daily tasks more effectively. Company looking to grow needs a smart management solution. It gives your business a competitive advantage by affecting needed resources, budget and spent time. 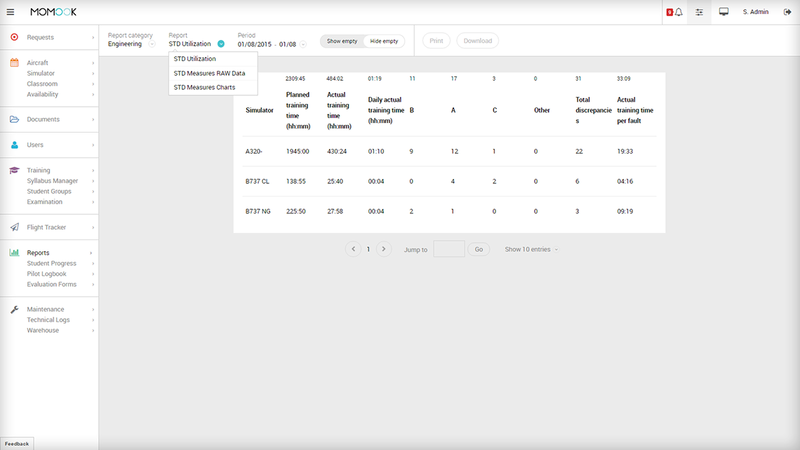 Custom Dashboard allows you to track information on your daily basis and stay productive. Using the dashboard module, the daily tasks and information are easily accessible. 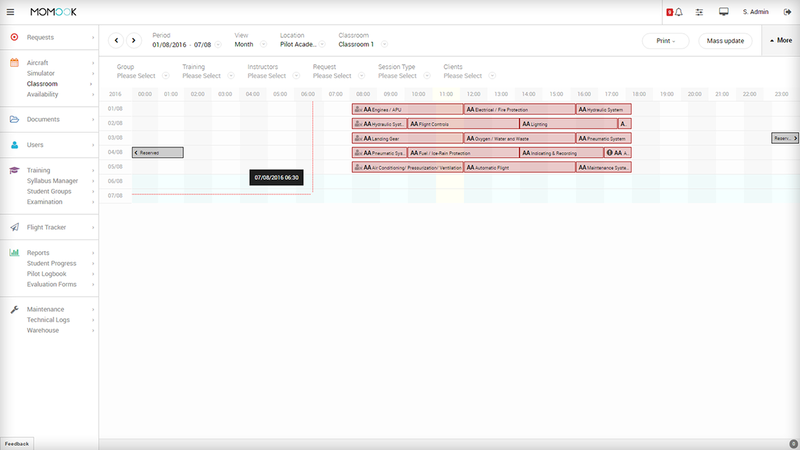 Just drag & drop and pull out the widgets that are the most relevant to the line of work you do. Hide all default dashboard widgets and add a custom one. It enables you to see the ‘big picture’ and focus on your primary duties. 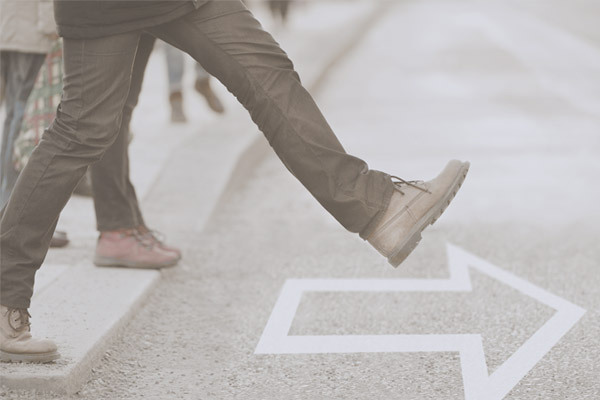 Request management is the key module while running your business and staying organized. 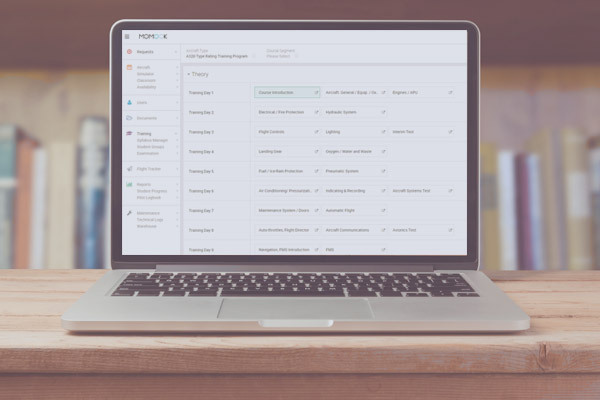 The simplified and unified structure allows your whole enterprise (including training, support, finance and other departments) to track your clients’ requests and manage them easily. The filter bar indicates how many new, in progress, closed, completed, or cancelled requests you have. Also, available notification feature provides you with a quick and easy access to important information about your requests. See the full list of available resources of ground school studies and organize the availability of it in seconds. Book preferred timing and available classrooms, drag & drop to make changes. 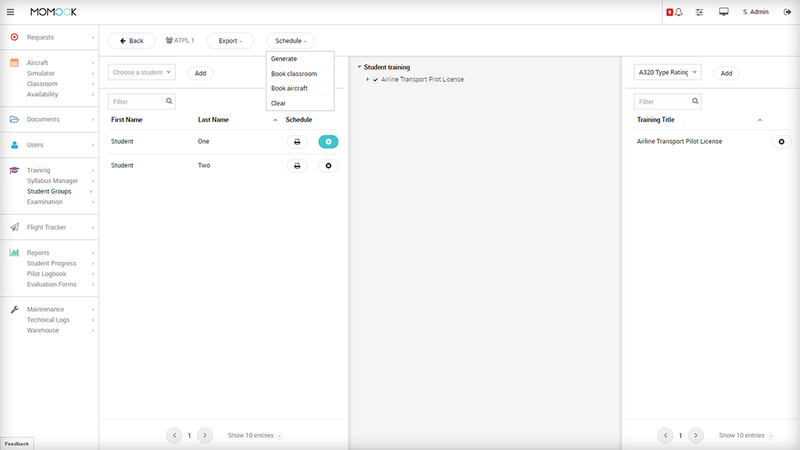 It’s a simple matter to book a needed classroom within a few clicks. 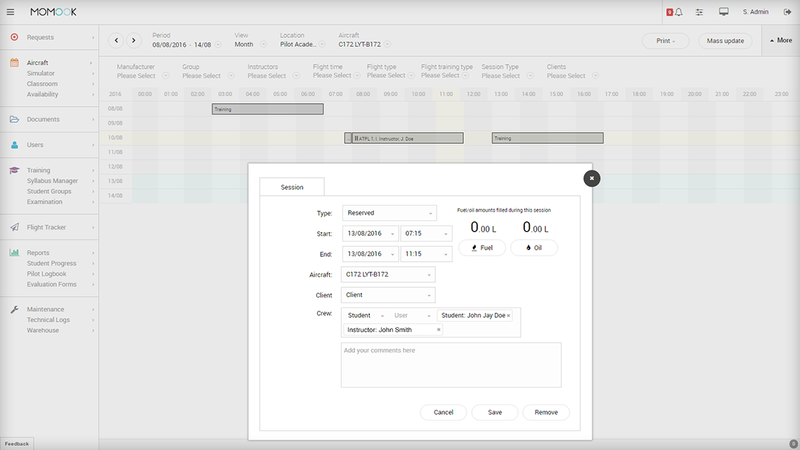 Real-time booking feature allows you to react as quickly as possible to the client’s demands and requests. It is a simple, but powerful tool allowing training managers and flight instructors to make the necessary changes when it’s needed within a few clicks. 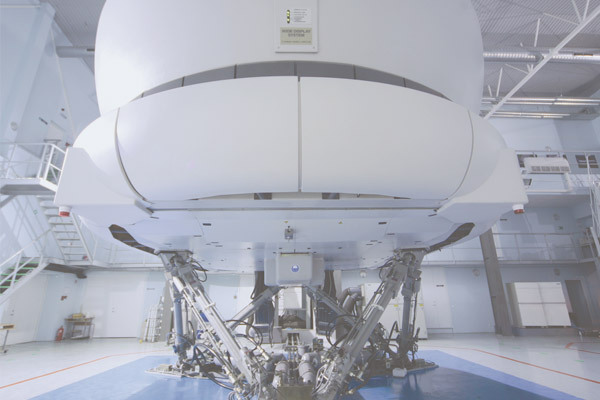 Using this module, the training center is able to use flight training devices at the full capacity. 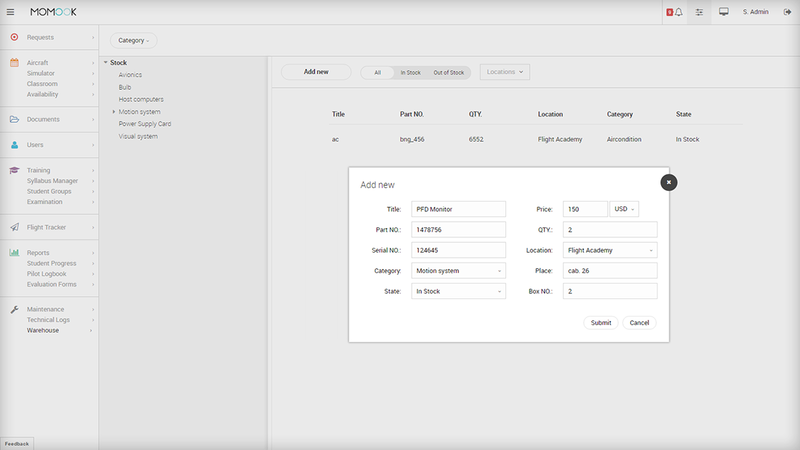 Aircraft booking module allows you to organize the main workflows of FTO: from Ab Initio training to aircraft maintenance. 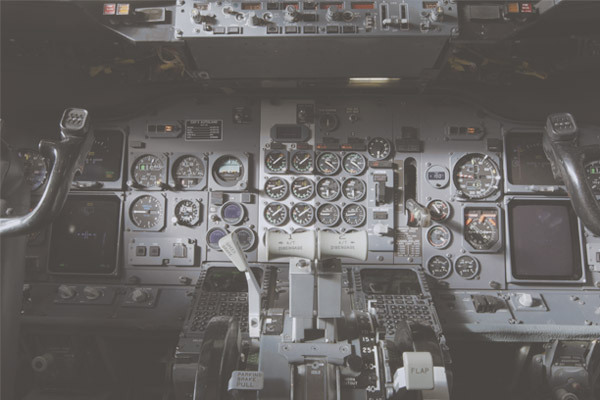 Using this module, despite the large number of students, human factors, weather changes and other causes, the training manager can handle an unlimited number of aircraft easily. Documents module is the best way to manage your data easily, reduce paperwork and avoid human errors. Documents management module provides an organization with a framework for managing all digital documents. As one of the main conditions to conduct flight training is valid documentation, this module ensures and manages its relevancy easily. More based on that, it is much easier for the training manager to plan the future training. 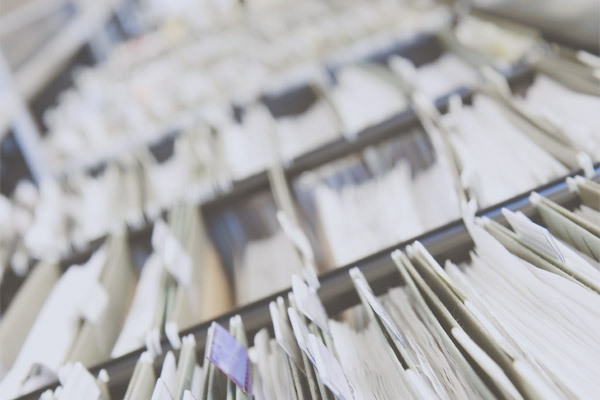 Taking care of thousands of documents: passports, visas, license, certificates, etc. 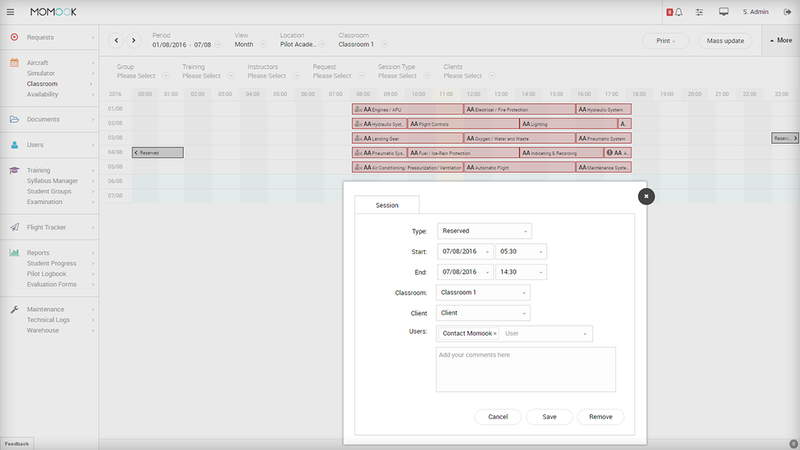 As a large class and a huge number of students can be challenging, the training group management module allows this to be organized in minutes. This module enables to combine many different groups. 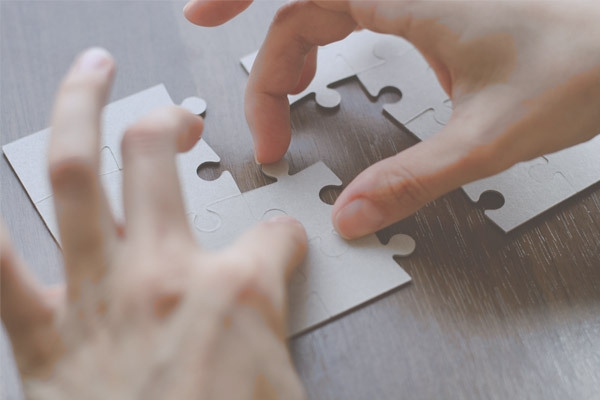 For example, to combine self-sponsored and corporate clients into one group in order to increase the efficiency of the training organization. Organizing the students according to the specific status of their studies: active, inactive, etc. The learning management system allows to have a clear system of the syllabus, training materials, and other necessary documents to be used. All the changes made in those materials are visible for the engaged parties of the training center. Also, using this module, there is a possibility for 3rd-party training material integration into MOMook software. The module makes the flight training experience more engaging, more collaborative, and more effective for every student. 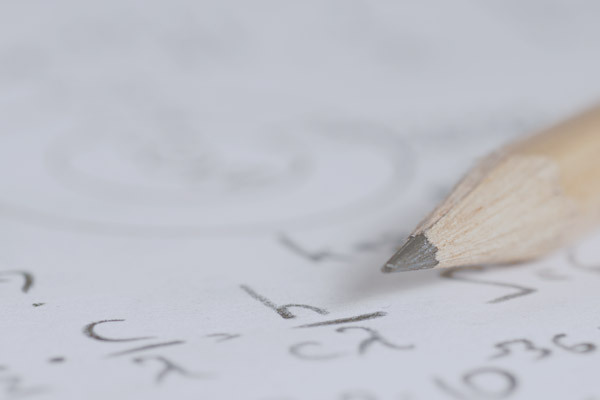 It is a robust tool to move beyond the traditional way of teaching and learning. As high quality of flight training is the key priority for all training centers, the students’ progress should be monitored frequently. The training progress monitoring module is a user-friendly way to follow the students’ progress. This easy to use module is designed to create aviation tests electronically. 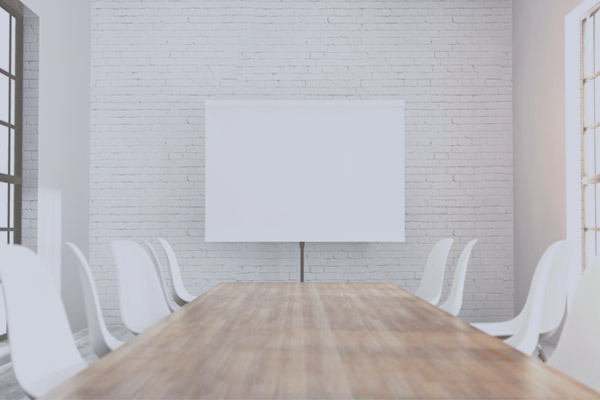 As training quality is the key factor while running a training business, this solution guarantees it. The module allows to build various tests by generating the required quantity of tests easily. 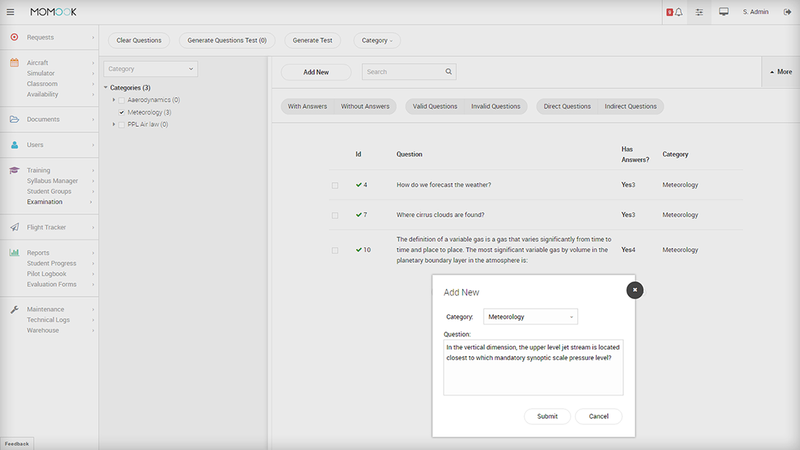 Also, it supports multiple types of questions and a variety of test types. The module allows to monitor everything that is going on in the training center: from the training progress, to simulator most common defects. Reports & Statistics module enables the interested parties of the training organization to access all the data provided. 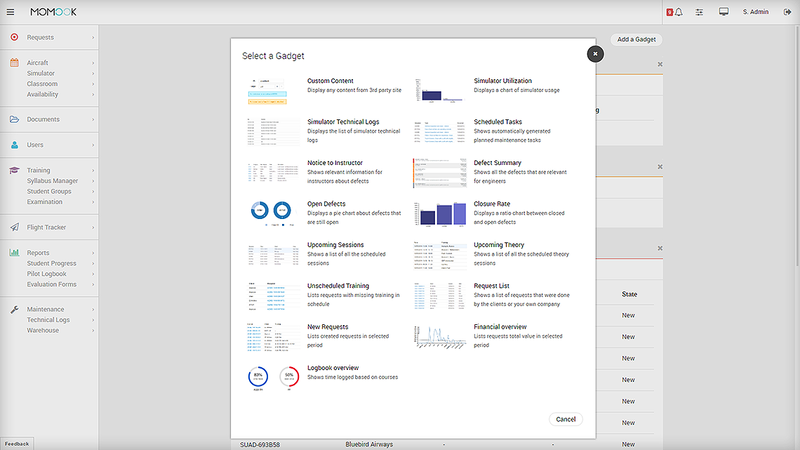 Pull out diagrams and table data by adding any parameters you need. Simulator maintenance functionality provides you with the information about the simulators in your center. While using the maintenance module engineers are able to detect, change and follow the status of every simulator’s defect. 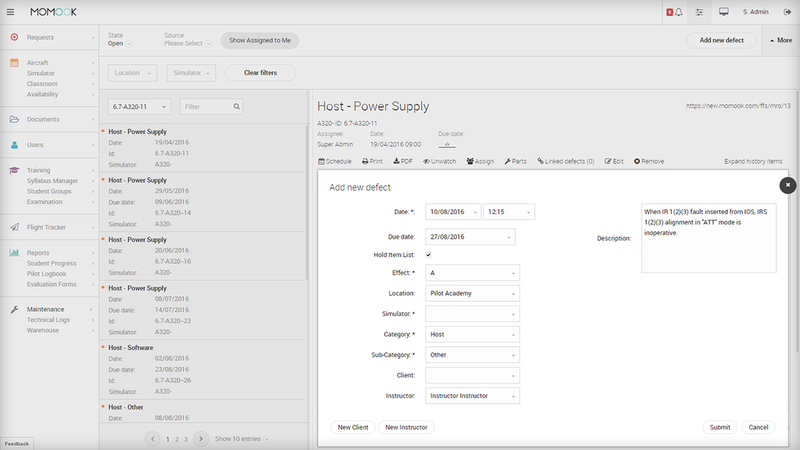 Warehouse module keeps all inventory data in one database and allows to manage it by adding, editing, deleting, and commenting on each part. 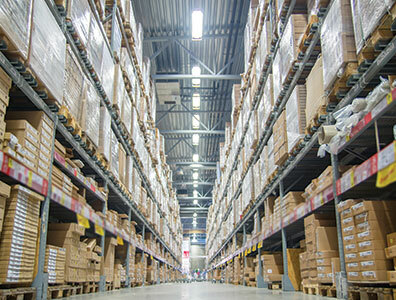 Keep up to-date with organization’s spare parts stock availability within a minute! 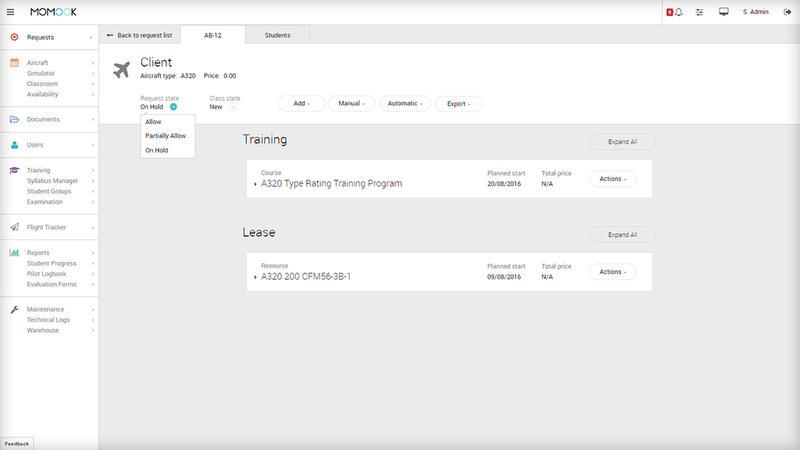 User module allows to stay organized and manage training organization easily. 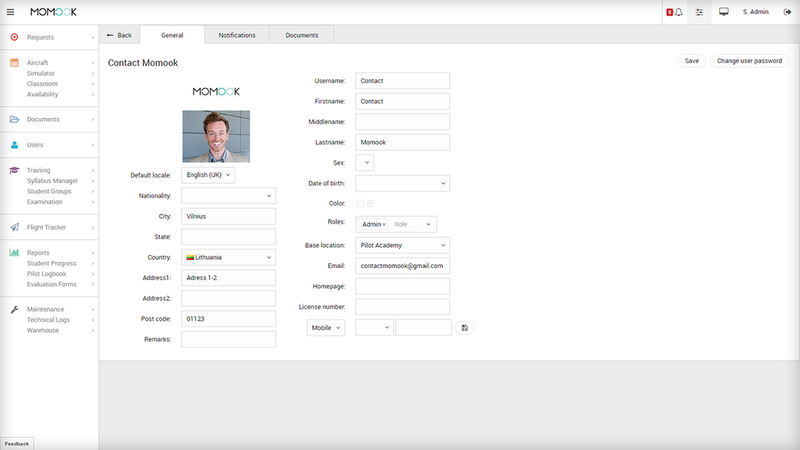 The module is used by both – organization’s employees as well as its clients: students, CEO, flight instructors, training, support, finance, product development, sales managers, drivers, and others. Also, various features can be easily tailored according to the specific user and their needs. It is a secure and modern way to make a number of actions in order to minimize an administrative overhead. The Full flight simulator info self-service terminal is a software and hardware solution designed specifically for aviation training centers. 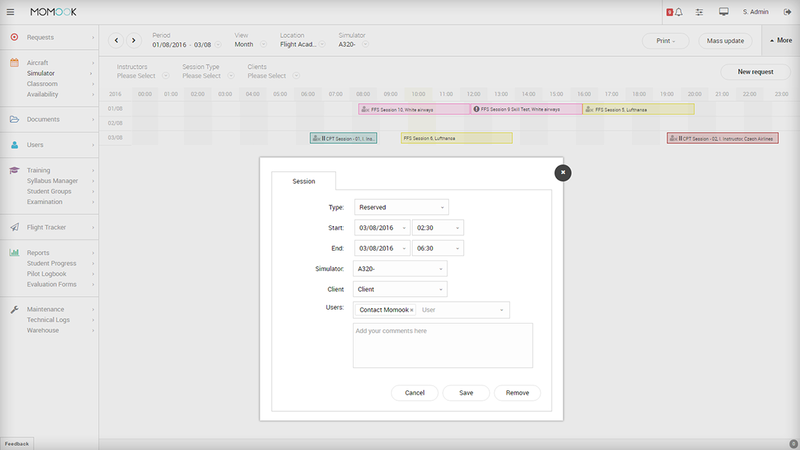 It allows to manage daily workflow easily whether it is a large amount of a flight device maintenance or training sessions. Using this modern and robust solution the company can get a 360-degree view of the whole training process. Flight tracker is a software and hardware solution designed specifically for aviation training centers. It is a perfect tool to improve the whole training process by collecting data and analyzing it. Save your time by getting the information you need in flash. Be modern by using innovative web-based software. Save human resources and avoid human errors. MOMook is adaptable and easily interacts with third party systems. Constant system development and renewal. Reduce paper work and save the nature. Recognizable and intuitive user interface. 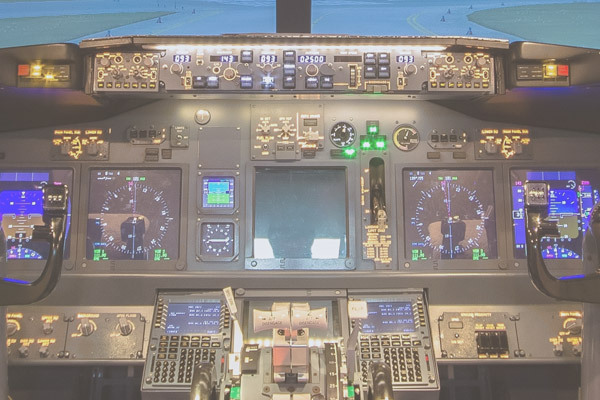 MOMook, in cooperation with the full flight simulator maintenance service provider SimHelp, has implemented an innovative solution – full flight simulator’s info Terminal. 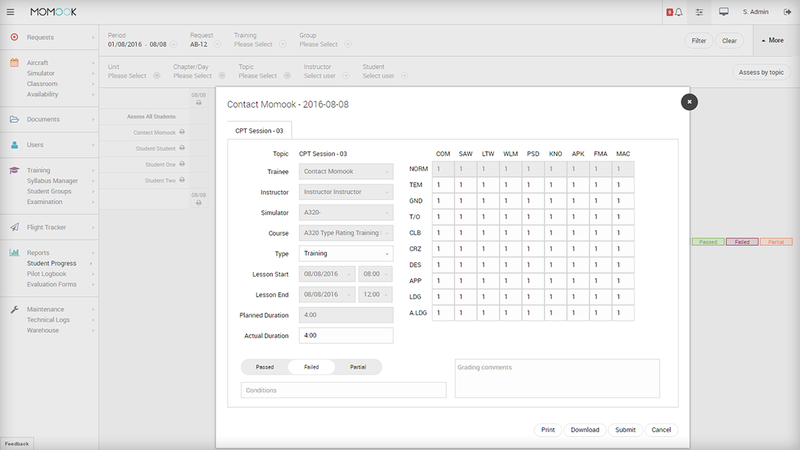 It is designed to streamline simulator sessions efficiently by monitoring and managing training time as well as tracking simulator’s condition in a smart way and from one environment. 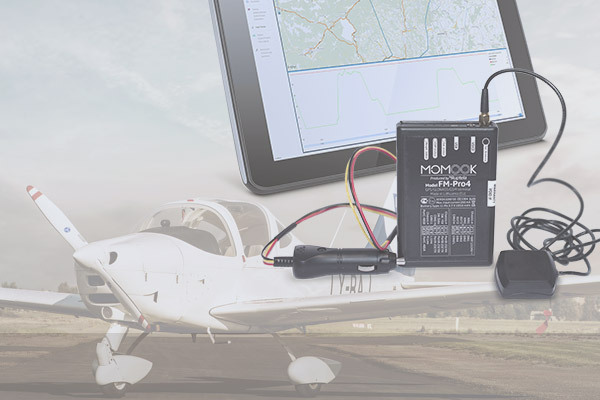 MOMook, by connecting software and hardware technology, provides a pioneering solution designed specifically for aviation training centers. The solution allows aviation training centers to efficiently and cost-effectively track their aircraft. 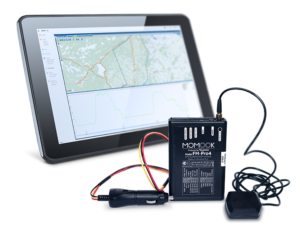 Using Flight Tracker device every aircraft is monitored with GPS technology by linking its flight data to MOMook software. The Flight Tracker within MOMook software visualizes live and historic data – such as longitude, latitude, altitude, ground speed, 2-D maps. The Flight Tracker device provides a high refresh rate, which is approximately 1-2 seconds, and also has integrated internal battery with up to 16 working hours. These requirements are the key factors in flight training and can significantly improve the whole training process. 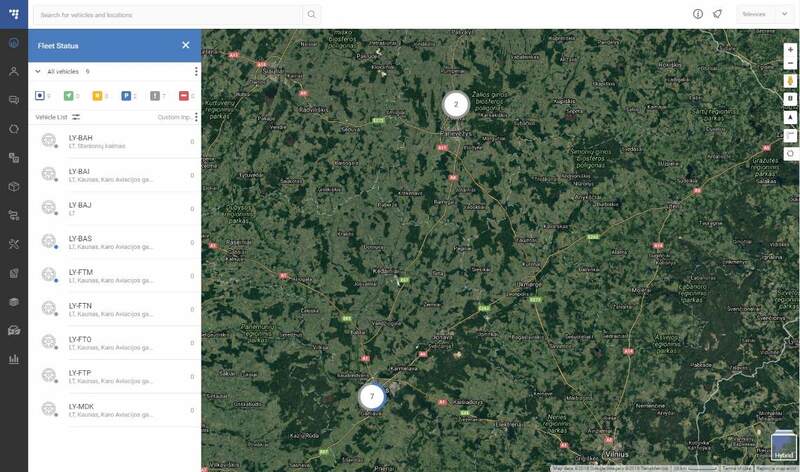 It reduces data inaccuracy and provides easier usage of the Flight Tracker in any aircraft without additional configuration. 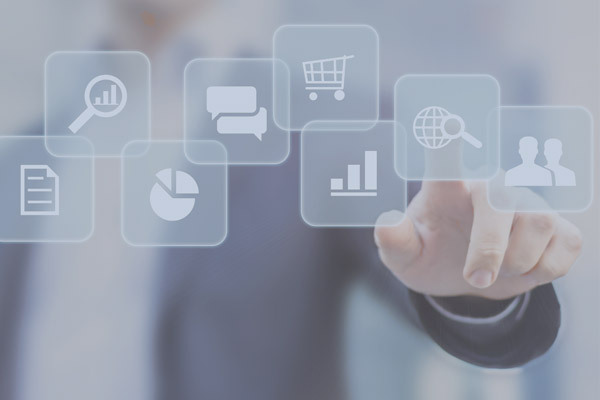 Contact us to find out more on how MOMook software can simplify your business management operations. Designed specifically for flight crew training centres.